PlayStation 4 owners will soon be able to scare themselves silly playing Amnesia. While it’s still somewhat new in the minds of many gamers and doesn’t have that many individual entries to its name, Frictional Games’ Amnesia series has been doing an impressive job at creating eerie, immersive experiences that can be absolutely terrifying even when they’re played with friends. Up to this point, the Amnesia series has been a PC-only affair, but that will soon change with the upcoming release of Amnesia: Collection. The oddly titled collection will include a trio of games according to a new post from Frictional on the PlayStation Blog. First, there’s the original Amnesia: The Dark Descent from Frictional Games. Then, there’s The Chinese Room’s equally terrifying follow-up, Amnesia: A Machine for Pigs. Finally, there’s Amnesia: Justine, which is a lesser-known and smaller Amnesia game that Frictional made as part of an alternative reality game intended to promote Valve’s hit platformer sequel Portal 2. 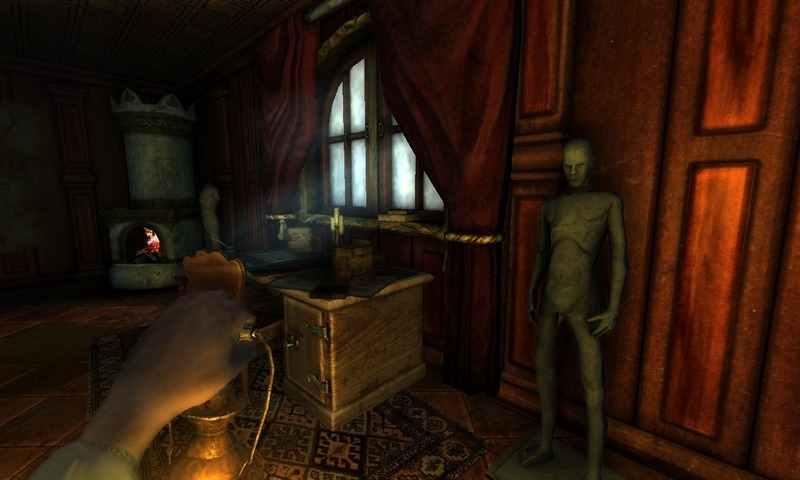 According to Frictional, Amnesia: Justine may not be as expansive as the other two games but it succeeds in being just as scary, containing a number of different scenarios and trials that Frictional cited as being heavily inspired by the Saw films. Amnesia: Collection is currently set to be released as a PlayStation 4 exclusive on November 22nd, though if it proves to be popular enough, it could eventually show up on Xbox One as well. There’s no confirmed price point for the collection as of yet, but as a grown man who spent several hours screaming like a little girl along with several of his friends while playing Amnesia: The Dark Descent, I can assure you the collection will be worth the price of entry for horror game fans who have yet to experience the Amnesia series for themselves.